BBC reports that Kennedy also suggested there are other infiltrators in the protest movement. “I’m not the only one — not by a long shot,” he said. That’s certainly no surprise to the animal rights community, which has long been a target for police organizations around the world (see here and here for examples). What is different about the Kennedy/Stone story is that the spy in this case admits he committed an act of betrayal. His double life was revealed while working alongside environmental activists in October 2010. Confronted by those who had trusted him, Kennedy admitted he was a cop working undercover. He reportedly left the police force shortly thereafter. Police have a long history of infiltrating social justice movements, but Kennedy was among the first to work for Great Britain’s newly formed National Public Order Intelligence Unit (NPOIU), which monitors so-called “domestic extremists.” Established in 1999 as an expansion of the Animal Rights National Index, which collected details on animal rights activists, NPOIU is based somewhere in central London. Kennedy was apparently deeply involved in the fight against global warming. 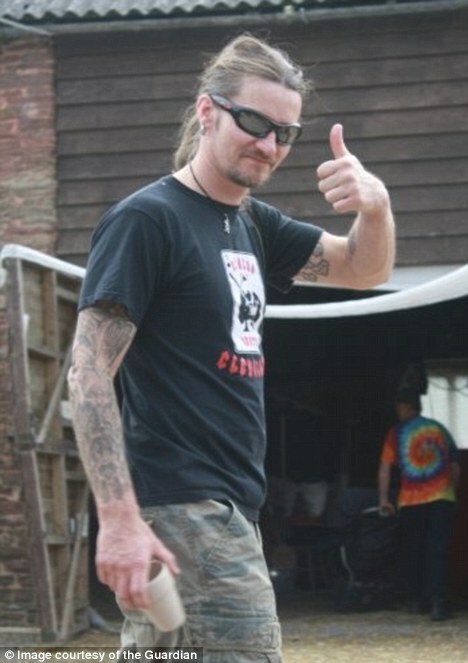 According to The Guardian, he “took part in almost every major environmental protest in the UK from 2003, and also managed to infiltrate groups of anti-racists, anarchists and animal rights protesters.” At some point, the spy had a change of heart, and he recently suggested that he could offer evidence in support of six activists who were facing trial for trying to shut down a coal-fired power station for a few days in 2009 — an action Kennedy helped coordinate as “Mark Stone.” The trial was set to begin this week, but the prosecution dropped the case after Kennedy offered his assistance to the defense. The story could lead to serious questions being raised about using police to infiltrate peaceful protest groups.